Need a residential electrician in Wembley? Here at Current Electrical Service, safety is the number one priority. For this reason, we offer our valued customers the option of selecting a Safety Service Agreement. This means that we will visit your home once a year, checking over the wiring, testing electrical outlets, checking your switchboard and taking a look at your smoke detectors. For you, this ensures peace of mind – and it also means you will receive a 10% discount on any work that needs to be carried out. In addition, we will also replace up to four damaged switch covers or outlets as part of the service. If we find that your home needs rewiring, you are in great hands as we are very experienced in this particular area of work. Electrical rewiring often means that the electrician needs to gain access to wires beneath the floor and behind walls – a process that can be quite invasive. We strive to provide an electrical rewiring service that involves only minimal mess and disruption, so you can go about your daily routine as usual. 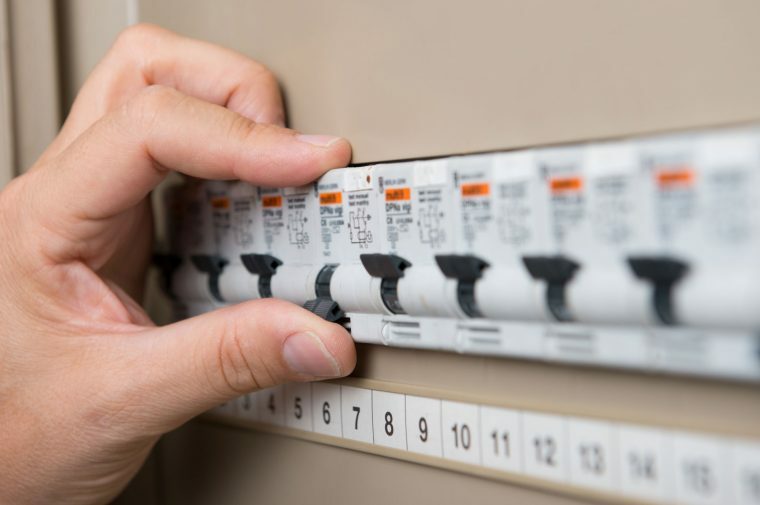 If you need to find a residential electrician that offers high quality electrical rewiring services in Wembley, contact Current Electrical Service today on 0418 942 648!